Should You Get an Auto Accident Lawyer? Home Why Should You Get an Auto Accident Lawyer In Louisiana? Why Should You Get an Auto Accident Lawyer In Baton Rouge? Will a Baton Rouge car accident lawyer be worth it? Are my accident injuries really that bad? How can I handle so many medical bills? Are the physical, emotional, career and psychological damages worth a court battle? Do I really want to sacrifice the time and energy it takes to pursue financial compensation for my losses? Maybe you’re thinking about just letting it go, moving on with your life without looking back. Still, the burning question remains: Should I get a personal injury attorney? If you believe that another person’s actions or negligence directly led to your injuries or the death of a loved one, you’ll need legal guidance and support to get you through the tough times. An accident lawyer will understand how the system operates and will have a clear idea of the evidence required to win your case. 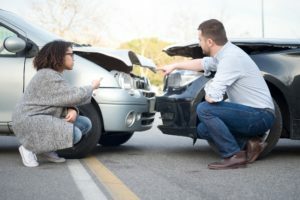 Contacting an accident lawyer immediately after the accident is in your best interest because this is the prime time to collect evidence and gather testimony. So if you’re on the fence, you could always err on the side of caution and at least receive an initial consultation. As you can see, the losses for accident victims extend far beyond the scope of tangible impact and the healing and recovery from a car accident can be long and strenuous. An accident lawyer can help you uncover all of the areas of your life affected by your accident. If you’re ready to make that call, check us out at Babcock Trial Lawyers. We stand up for car accident victims so they don’t get a raw deal. © 2019 Babcock Trial Lawyers - All of Babcock Trial Lawyers personal injury lawyers are licensed in Louisiana. Full compensation. Free consultation. Get even.